New insights, every day! Kelli Fox, one of the worlds most respected astrologers, is pleased to bring you these free daily horoscopes and astrology videos. 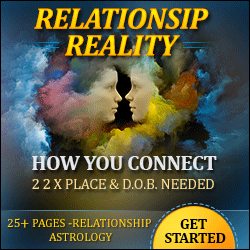 Visit http://www.TheAstrologer.com/horoscopes to learn more about astrology and the way it affects you, every day. This sign is the most selfish of the zodiac. Aries are independent by nature and don’t give much of a hoot about anyone else…and why should they? According to them, they’re numero uno. They also think they’re a natural born leader but others probably find them dictatorial and overbearing at best. Don’t get me wrong — I have plenty of wonderful Rams in my life it’s just there’s a certain something about some of them. difference is they’re always the one causing a scene or storming off in a huff especially when they don’t get their own way. How dare anyone keep them waiting! Aries Arrogance: It’s all about me! Slammin, hahhaha, give it to us !! I have triplet Aries and I am a Scorpio. They have almost no empathy for me or any desire to be a family and work together. It’s an “everyone out for yourself” attitude and I have no idea how to help them transition to caring people. Oh my goodness. You have your hands full. I have three middle aged Aries siblings and am still trying to teach them to be caring people lol. 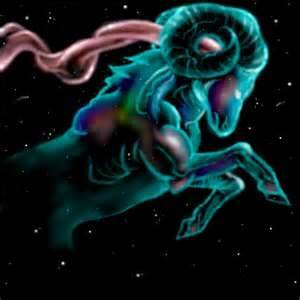 Astrologer Linda Goodman said the universe knowingly, rarely puts more than one Aries in a family (she herself was an Aries too btw) If anyone can handle it a Scorpio woman can! I will say a little bit of them will be babies forever. Aries have tremendous egos. I suggest anything to help calm them. If they can learn meditation or practice yoga it might soothe the firey little rams. I am an Aries. This is actually quite the opposite of me in almost every way. I am and have always been extremely empathetic, sensitive, putting others before me, and introverted on nearly every level. I greatly dislike the spotlight or being the focus of even a small group’s attention.